Martyn Hilbert's Railway Photography - AC Electrics - 87023 -'Polmadie' passes Brock. 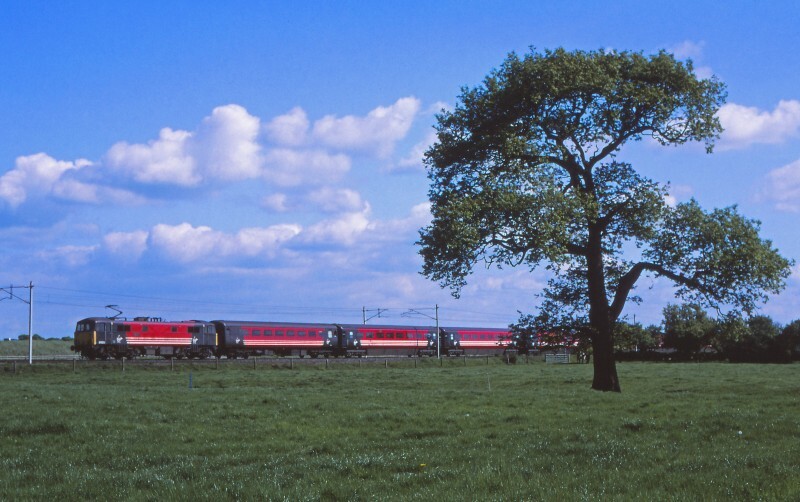 On a perfect Summer afternoon, 87023 -'Polmadie' speeds past Brock between Preston and Lancaster with the 11.35 London Euston to Glasgow Central Virgin Trains service on May 15th 2004. A creeping tide of Class 390 Pendolinos would consign familiar scenes like this to history by the year end. At Brock, the WCML, M6 Motorway, A6 Trunk Road and Lancaster Canal are all in close proximity.